You can't live in Texas an not own an awesome pair of cowboy boots.... and cowboy boots are the shoe of choice for boot designer, Leslie Hilberth of Bonafide Boots. She says, "Give me a pair of good 'ol cowboy boots and I am way more in my element than I am in stilettos!" This Dallas mom loved wearing cowboy boots but wanted designs that were more fashion forward and customized than she could find in stores. Leslie's background was manufacturing and her creative talents had moved her into mixing fabrics and leathers to design high-end custom sofas and bedding ensembles for Anteks. She teamed up with Cindy Whitely, who she knew through her kids school, and the two of them decided to take the bull by the horns... and turn him into boots. Thus, Bonafide Boots was born in 2010. In this world of mass production I am always seeking ways to make my look unique. I am also a child of the 80's so I'll stitch a monogram on anything I can! The beauty of Bonafide Boots is two-fold: customizable boots that make a fashion statement at affordable prices. Boots start at $450 and go up from there depending on how intricate your request is. Custom designs usually take 6-8 weeks. 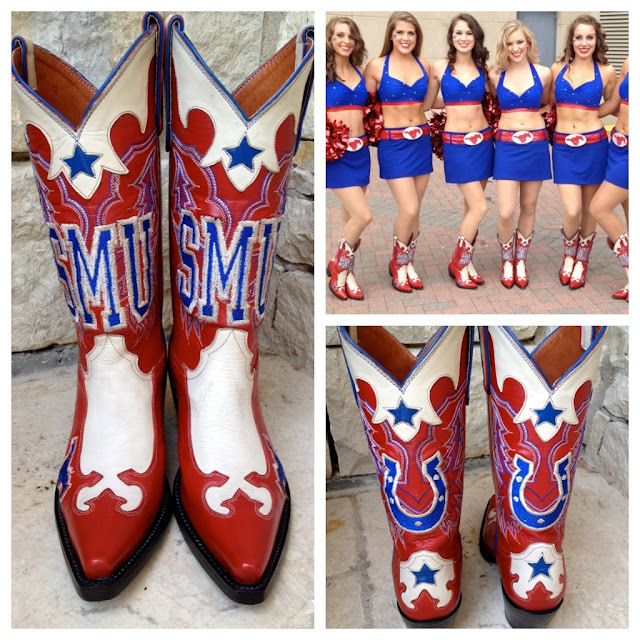 They are making a name for themselves designing boots for colleges, high schools and private schools in Texas. I couldn't snap a pair of the Highland Park Scots boots up quick enough (see above) and I will be two-stepping in them at the Cattle Barron's Ball this weekend! But they can also customize boots with just a subtle monogram or date. They can even create a boot featuring your company logo for your top execs or to use as sales incentives. The possibilities are endless! This post was sponsored by Bonafide Boots. While I did receive compensation for authoring this post; product selections, descriptions, and opinions are 100% my own. If I didn't think this company was awesome, I wouldn't be writing about it! Interested in a sponsored post or product review? Contact me for rates and details.